The Tales are released in eBook and audio book currently, with the entire collection published in hardcover this November. I’m not going to give a synopsis of any kind on this. If you haven’t read The Mortal Instruments, specifically City of Heavenly Fire, I couldn’t say a single thing without crazy spoilers. I know that some of you are waiting to read Lady Midnight so you can read the Tales first, and after reading it, I think you could do it either way. I read Lady Midnight first and found that I personally preferred having these stories afterwards. There were a couple major things that happened in Lady Midnight that I don’t think would have been such a huge shock to me had I already read the Tales. I liked being that shocked and surprised. You cannot read the Tales without having read The Mortal Instruments or The Infernal Devices. 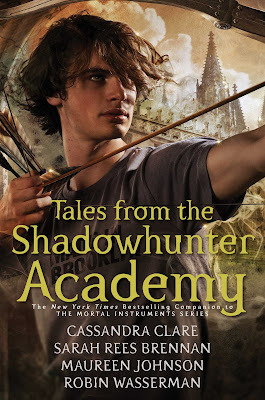 This one is a direct continuation of The Mortal Instruments in my mind, with plenty of stories that include TID characters. 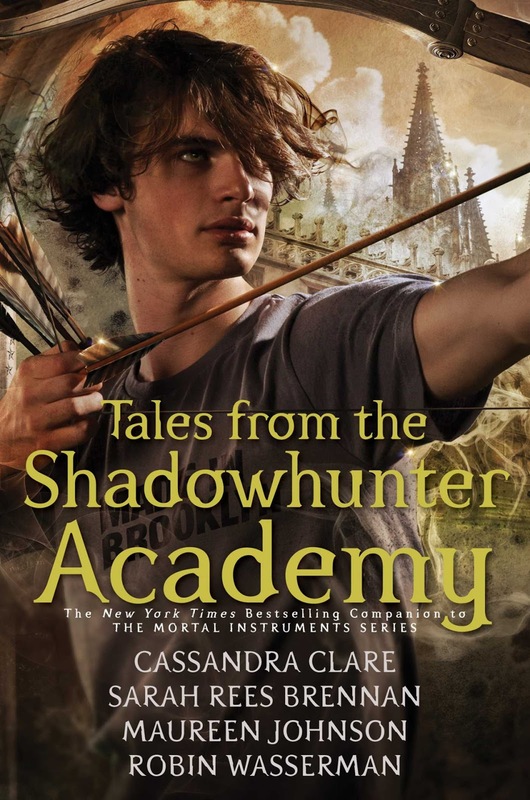 And to anyone who has read those two series, the Tales is like Cassandra Clare’s delicious treat to her fans. This was a seriously awesome set of stories and exactly what I needed to pick me back up from a book slump. I loved every single one of them, even if some of them broke my heart. The Tales actually made me love Lady Midnight much more, just because it eased all my TMI questions and allowed me to love the new story the way it should be appreciated. 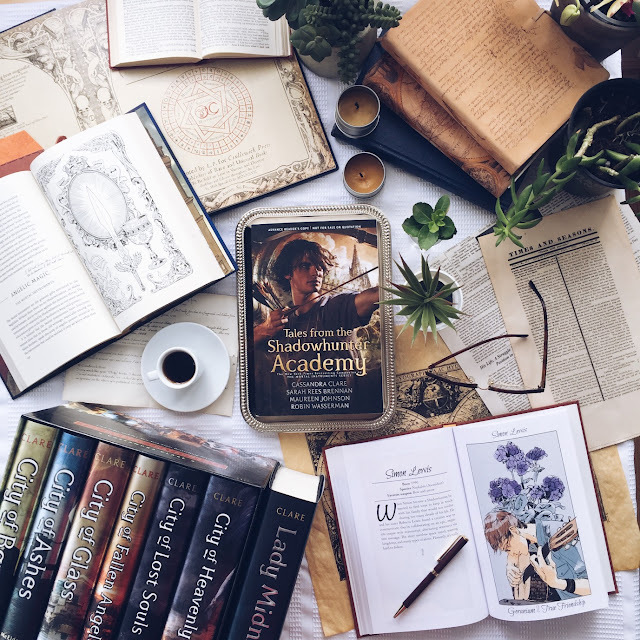 I am interested to know if you preferred reading/listening to the Tales before or after Lady Midnight. Are those pictures inside the book?? Or is that another book? Are you talking about the drawing of Simon? That's in the Shadowhunter Language of Flowers book. Where would I find that book?